Welcome! On your first visit with us, we will listen carefully to your dental concerns and attempt to answer all of your questions thoroughly. A detailed examination by our qualified doctors and review of your oral health. A careful evaluation of your dental status. The treatment plan of needed restorations, if any. You will find practice staff to be very friendly, understanding and gentle. We provide our patients with exceptional dental treatment in a comfortable and safe environment. Please arrive 15 minutes early for your first visit so we can review your information with you. Please bring your completed forms along with any insurance information documentation. We look forward to seeing you and your family very soon. We understand that going to the dentist can be a stressful thing for some people. In order to relieve some of these stressors, we get all of your insurance documentation prior to your appointment so you can have an estimated cost of what your insurance may be able to pay towards your treatment. 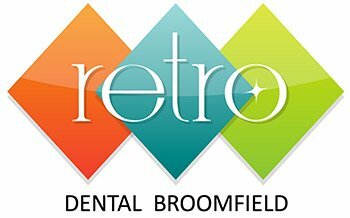 Retro Dental Broomfield is also a participating provider for Care Credit. This service is a great payment option for all your dental treatment.